Barrier to Justice: Could Rwanda Prevent Ntaganda from Reaching The Hague? Troubling signs have emerged that the transfer of Bosco Ntaganda to the International Criminal Court (ICC) may be “inhibited” by the Rwandan government. On Monday, Ntaganda stunned the world when he surrendered himself to the ICC via the US Embassy in Kigali, Rwanda. The United States government appears to be worried that Rwanda won’t allow a warlord from Congo now camped out in the U.S. Embassy safe passage to the airport to be flown to the International Criminal Court for prosecution. The U.S. hopes Rwanda will help facilitate the transfer of Congolese rebel leader Bosco Ntaganda from the U.S. Embassy in Kigali to the airport for a flight to the ICC in the Netherlands, the top U.S. State Department official on Africa, Johnnie Carson, said Wednesday. Carson also indicated that Rwanda hasn’t yet assured cooperation with ICC officials en route to Rwanda. He noted that Rwanda, like the United States, is not a signatory to the Rome Statue that created the ICC and is not bound by international obligations to hand Ntaganda to the ICC. The possibility of Rwanda seeking to undermine Ntaganda’s transfer shouldn’t come as a surprise. For the moment at least, Ntaganda’s surrender means that everyone comes out a winner – except for the Rwandan government. As I argued in my post yesterday, however, Rwanda is in a precarious situation. 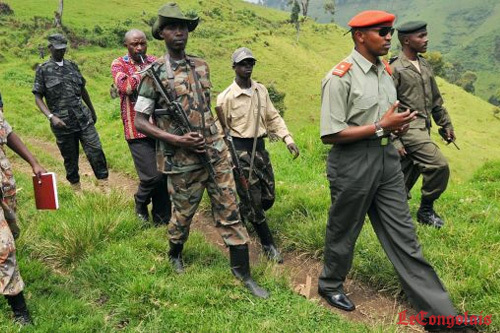 The government of Paul Kagame supported and supplied Ntaganda and the M23. 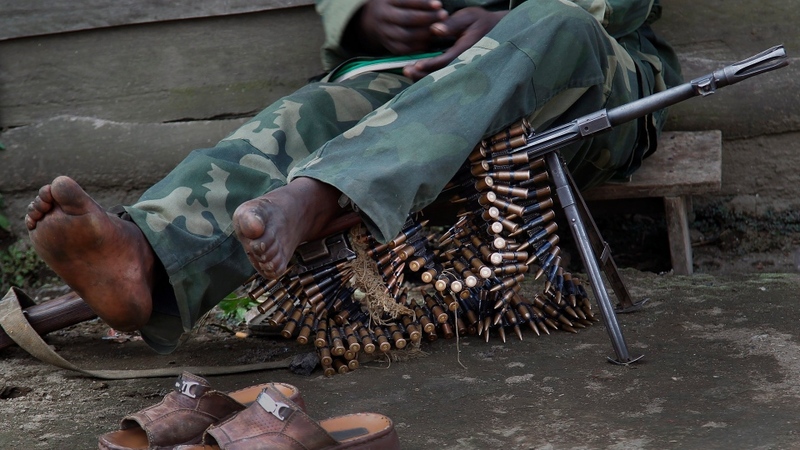 The government is surely anything but keen to see its relationship to rebels in the Eastern DRC further examined and exposed in The Hague. At the same time, it would be misguided for Rwanda to directly prevent Ntaganda’s transfer to The Hague. Nothing would so obviously betray their relationship to him. As I argued yesterday, Rwanda was (and would be) wise to take a hands-off approach towards Ntaganda’s transfer in order not to appear to be actively interested in his predicament and thus undermine their case that they have nothing to do with him. However, Rwanda may seek to inhibit Ntaganda’s transfer indirectly. Precisely what that would mean is unclear at the moment. But what we do know is that the potential for Rwanda to scuttle US efforts to transfer Ntaganda’s transfer is real and the Americans are sufficiently concerned to come out and say so publicly. When, how and, indeed, if Ntaganda actually gets to the ICC remains to be seen. But only when he finally arrives in The Hague will this saga end. When he does, of course, a new saga will begin. This entry was posted in Democratic Republic of Congo, International Criminal Court (ICC), Rwanda and tagged Bosco Ntaganda. Bookmark the permalink. 5 Responses to Barrier to Justice: Could Rwanda Prevent Ntaganda from Reaching The Hague? One interesting footnote: Rwanda could block the transfer also through legal steps. Bosco Ntaganda is currently subject to a UN travel ban. For the transfer to take place, the Security Council Sanctions Committee would have to lift the ban for that purpose (if that hasn’t been done yet already – I haven’t seen anything reported). As a current Council Member and thus Committee Member, Rwanda could block consensus in the Committee, triggering further negotiations and possibly a decision on whether to refer the exemption request to the Council. What pointless, frivolous speculation. Since events have left “experts” like you gasping for air, why not breathe through your nose for a day or so and observe what happens? What exactly would Rwanda gain by preventing his departure to The Hague?